So, you made a turkey, and now you have leftovers (the best part!) and want an easy, delicious recipe that is ready in time flat to serve for lunch or dinner the next day. 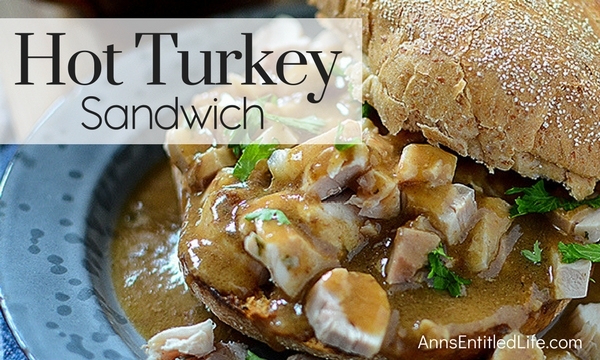 This traditional hot turkey sandwich is simple to make, and oh so good! People have been enjoying it for years. Yum! 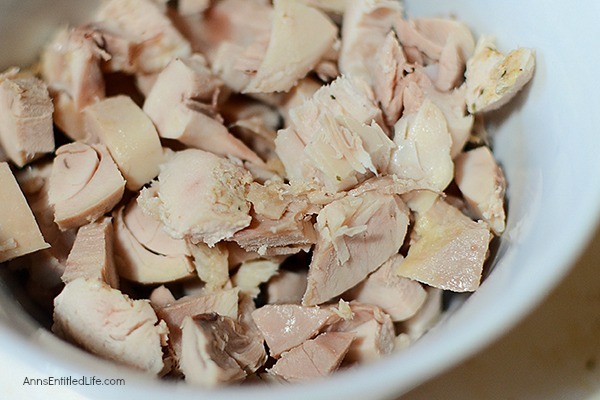 • Turkey Turnovers – this fast and easy to make leftover turkey recipe! 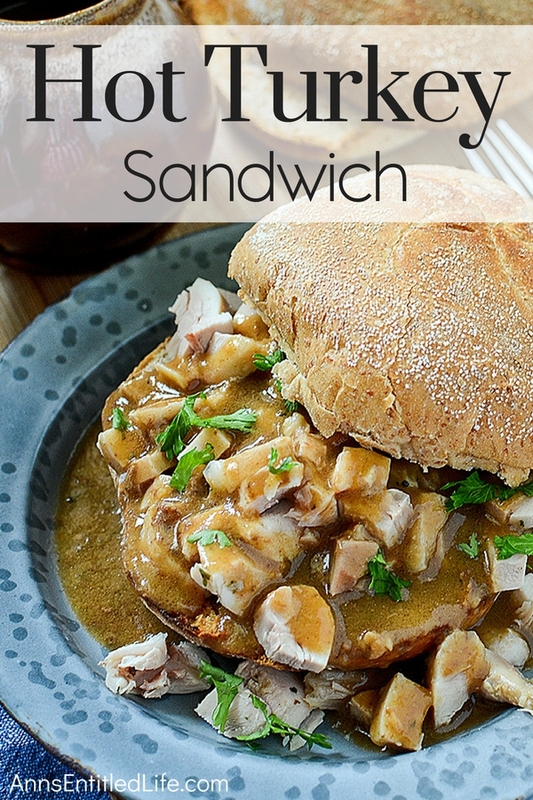 • Creamy Turkey Soup – hubby makes turkey soup every time we cook a big bird. Yum! • Turkey Cream Cheese Pinwheels Recipe – served as an appetizer or as a lunch entree, these tasty pinwheels really hit the spot. 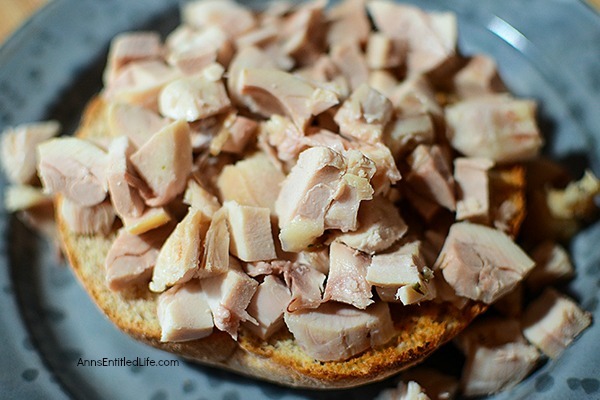 • Dice cooked turkey into bite-sized pieces. 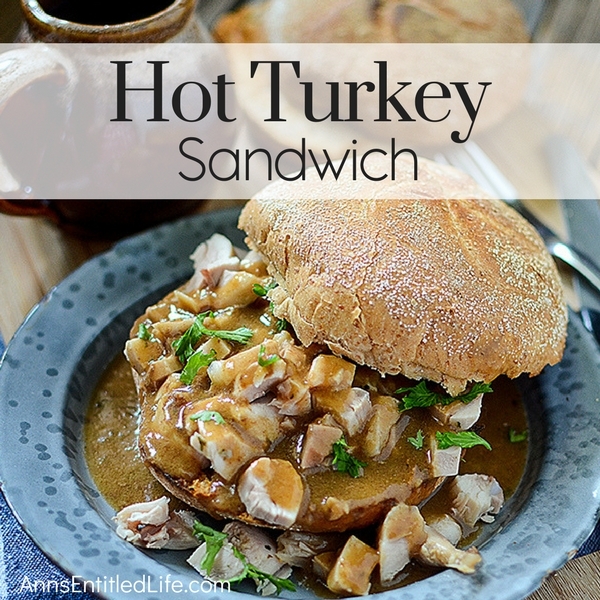 • Heat the turkey in the microwave or oven until heated through. • Heat gravy until hot in the microwave or on the stove. • Toast bun (roll, bread). 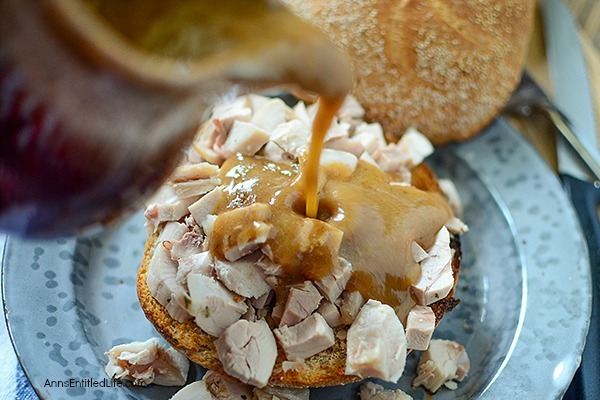 • Place 1 cup of diced turkey on each lower portion of the toasted bun (roll, bread). 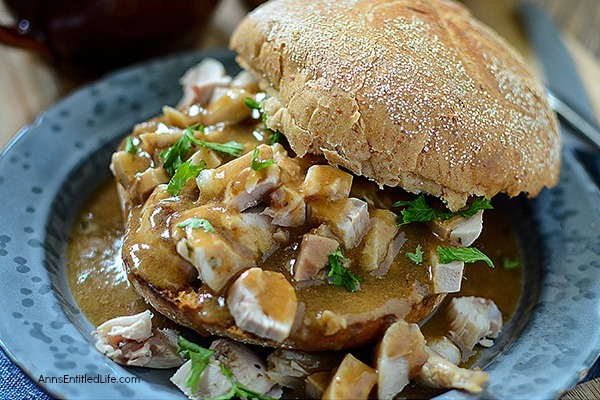 • Pour the hot gravy over the top of the turkey and replace the top portion of the bun. • Eat with a knife or fork, or for a super fun and messy meal, pick it up and eat it like a burger!